Weddings are supposed to be the most important day in the life of woman. This special occasion marks a turning point in your life and so you should spare no expenses when it comes to the bridal trousseau. The most stunning wedding creations signify the height of luxury and elegance. For a cool $12 million, you could be the owner of what is probably the most expensive wedding dress in the history of the world. The gorgeous dress was the creation oin collaboration with Renee Straus, a designer of bridal couture and owner of a booming Beverly Hills bridal salon. 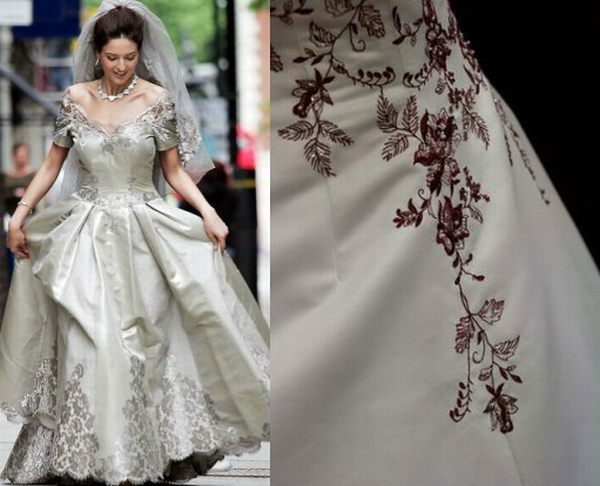 The wedding gown features diamonds worth 150 carats, held with lace throughout the dress. The diamond wedding gown was designed in celebration of the grand Bridal Show, hosted in the year 2006, at the Ritz-Carlton Hotel located on Rodeo Drive in Marina Del Rey. Yumi Katsura, a designer in Japan was responsible for designing the second most expensive wedding gown in the world. 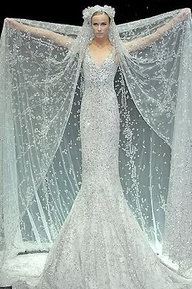 With an estimated value of $8.5 million, the shining wedding gown comes with a unique white gold diamond of 5 carats and pearls, 1000 in number. 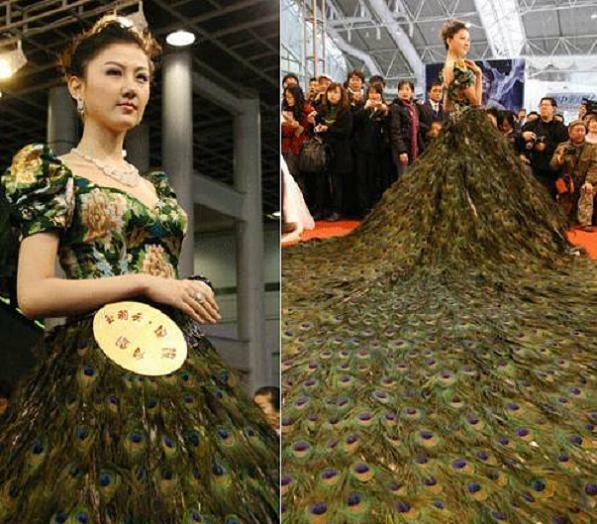 A total of 2,009 peacock feather pieces went into the making of the Peacock Wedding Dress. With a price tag of $1.5 million, this exquisite piece of bridal couture was showcased at the 2009 Wedding Expo hosted in Nanjing, the capital of the Jiangsu Province in East China. The dress was completed by eight handicraftsmen in a period of two months. When luxury brand, Danasha, joined forces with fashion designer, Jad Ghandour, the results were bound to wow onlookers. 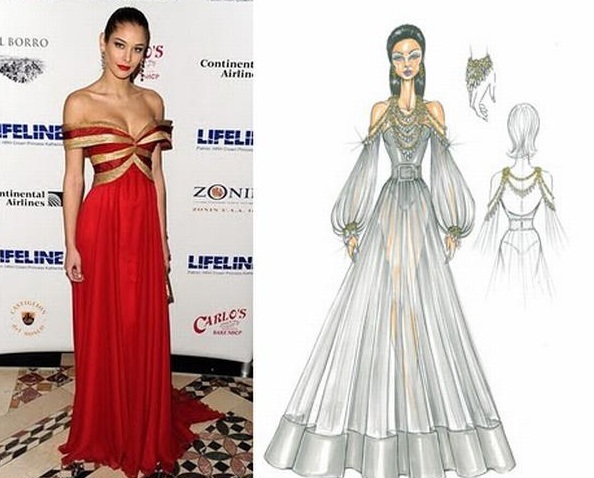 The $1.5 million luxury gown was unveiled at the 2010 Miami International Fashion Week. 18 k gold, totaling 250 grams, as well as high spec diamonds of 75 carats, chosen by hand from Antwerp in Belgium went into the making of the Danasha Luxury Gown. Taffeta material was used in the creation of the dress and the jewels were entirely handmade. For her fairytale wedding to Prince William, Kate Middleton donned a wedding dress worth an approximate $416,700. Sarah Burton at the famous fashion house, Alexander McQueen, was in charge of designing the dress. An ivory gown with floral detail in lace appliqué, the dress boasts of a 2.7 m long train. The wedding dress was the brainchild of Mauro Adami, an Italian. 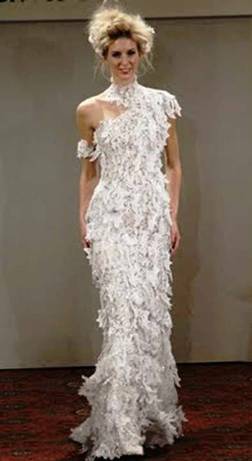 Made from fabric, 40 meters in length, spun from platinum and silk thread, the cost of the gown is $400,300. The dress was on display in London as part of the Jewellery Week in Hatton Garden in 2008. 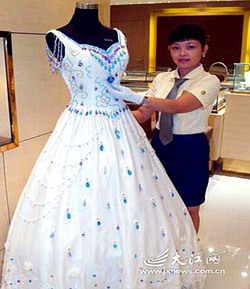 Adorned with almost two kilograms worth of gems totaling 9,999 karats, this striking wedding dress was showcased at a jewelry store located in Shangrao in the Jiangxi province of Eastern China in 2007. The gown was made by a famous jewelry designer in Hong Kong. The dress can be yours for $154,000. 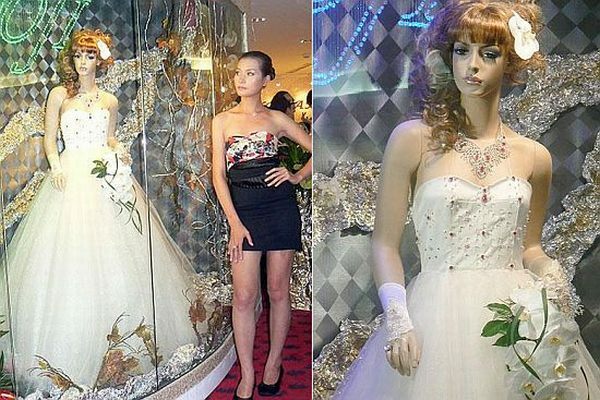 A satin and white silk bridal dress from Vietnam with 100 red rubies and 222 diamonds, the “Bach ngoc xiem y” is the costliest gown in the country with a value of $117,000.